Qualicum Curling – Qualicum & District Curling Club has been in operation since 1965.
http://209.44.107.34/~qualicu1/wp-qbcc/wp-content/uploads/2017/11/2017-Logo-120-e1514403126543.png 0 0 Greg Rehill http://209.44.107.34/~qualicu1/wp-qbcc/wp-content/uploads/2017/11/2017-Logo-120-e1514403126543.png Greg Rehill2019-01-01 12:16:162019-04-11 09:50:09WELCOME! Scroll down for more information. Poker Nights: The next game is Saturday, April 20th. Games will continue monthly through to September (3rd Saturday of the month EXCEPT in May – no game in May). 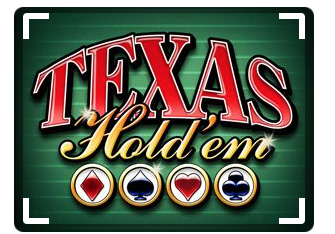 No Limit Texas Hold’em rules apply. Top 3 places pay a percentage of the pot. Everyone is welcome as long as they are 18 or older. Put away your broom, pick up a paddle and join us at Drop-in Pickleball! Club Members & their guests are welcome to play from April 16th to June 29th. There will be 3 courts available on Tuesdays, Thursdays and Saturdays from 9:00 am to 12 noon. Open to all skill levels. Fee is $4/player (exact change please). Bring your own paddle, indoor gym shoes and water. We will supply the balls. Questions? Email manager@qualicumcurling.ca and your question will be passed along to the coordinator, Peggy Aikman.